When you wanna go to CHUUUCH but play things casual, Cory Henry is at hand. 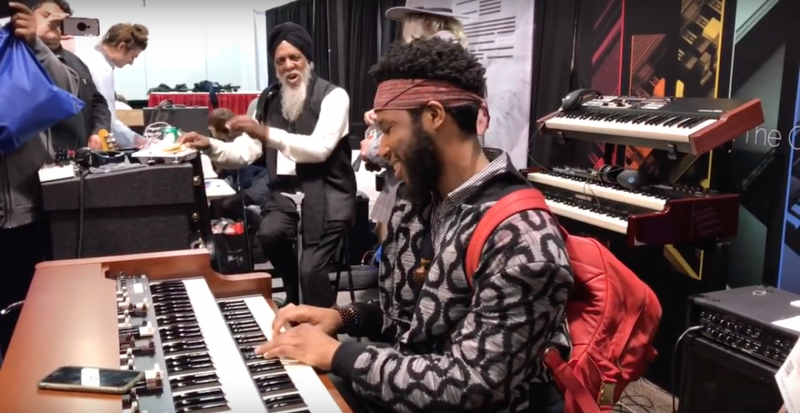 Here he is at NAMM 2017 on the Hammond XK5. And yes, that is Dr Lonnie Smith in the background.